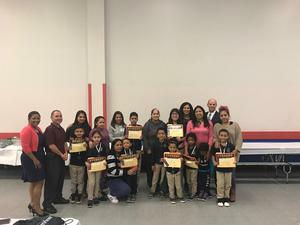 Edison School recognized it high academically achieving students. Happily they pose with their certificates and their proud mothers. Congratulations.